2 Nights' Lodging in your choice of over 68 hotels. Look no further than San Antonio, where you can spend two nights enjoying time with your special someone. 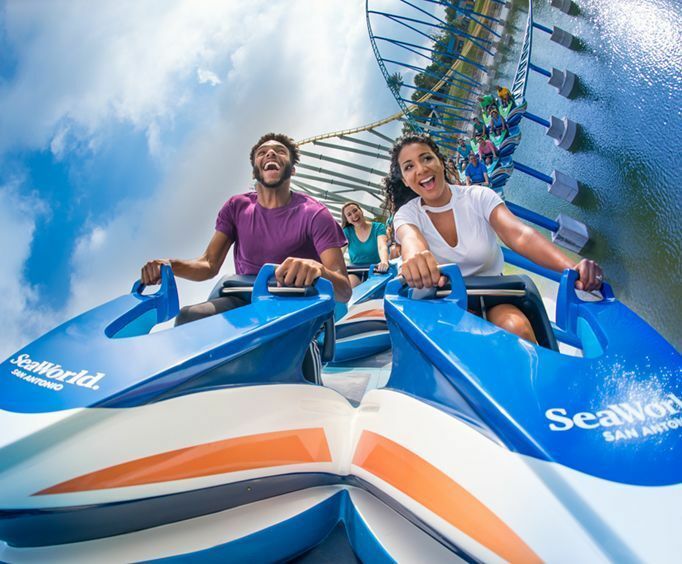 And what better way to spend your trip than at Sea World San Antonio, where you can ride the Steel Eel or see a Great White Shark, among other amazing sea creatures. Sea World San Antonio features great rides and attractions, which you are sure to enjoy. Check out the rides, such as the Shamu Express, or Journey to Atlantis. The Boardwalk Games Center is a wonderful way to unwind and if you are feeling adventurous, you can even feed the dolphins. The pass includes the SeaWorld San Antonio & Aquatica 5-Day Flex Pass for five days of fun at both parks! If you are looking for a romantic weekend getaway with a twist, you should try Sea World San Antonio. Imagine strolling through the park hand in hand, enjoying the magnificent sea creatures from around the world with your loved one. It is a one-of-kind experience that you both will never forget!